One of the very few talks I can still remember from collective worship at school ended with a question, “How often do you thank your parents for preparing your food?” This was a simple, straightforward question but it has remained with me all these years because it truly made me think about my attitude towards what I very much took for granted. How often do we give thanks for our food? Of course we can hurriedly say grace before a meal and say thank you to the person who prepared it, but how often do we demonstrate our thankfulness? By this I mean, how often does our saying “Thank you” move beyond simple politeness to become heartfelt gratitude? Today the Church celebrates the feast of Corpus Christi, the Most Holy Body and Blood of Christ, which in the Church of England calendar is called, in rather long-winded way, “The Day of Thanksgiving for the Institution of Holy Communion”. This name is in itself a theological compromise, but even so it gives us a much needed chance to reflect on how and how often we thank God for his gift of this Sacrament. Yes, we do say a prayer of thanksgiving after receiving Communion, but by the end of this prayer we have already forgotten how to be properly thankful because there we find ourselves asking for something else – “Almighty God, thank you for feeding us… [and] Send us out in the power of your Spirit…” In this case, being thankful doesn’t seem to also mean being content with what with have received. So, how often do we actually take a few moments to consider, with grateful minds, the incredible thing Jesus does for us at the Mass? How often does our saying “Thank you” move beyond simple politeness to become heartfelt gratitude? But perhaps, in order to develop true gratitude for the Eucharist we need to understand a little better what is offered to us here. There is a very ancient pagan legend which has been widely depicted in Christian symbolism since the second century. 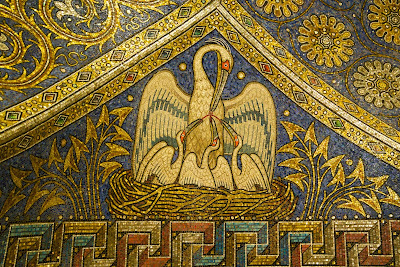 This legend says that in times of famine a pelican would wound him or herself, would literally peck at his own breast in order to feed the young in the nest. As the chicks are starving the pelican provides for them his flesh and blood to revive them. 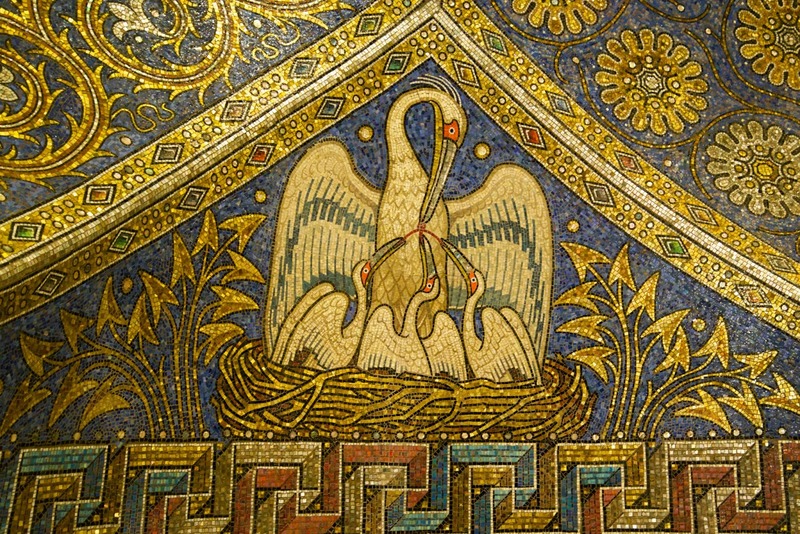 Naturally, our early Christian brothers and sisters saw the Lord Jesus in the pelican and humanity in the chicks. Jesus is the one who says to us “This is my body” and “This is my blood”. Jesus is the one who gives his own very self to us in order to restore us to life – his body, blood, soul, and divinity, all these are present and given in the Sacrament of the Eucharist. Jesus is the one who donates himself to us in the Mass every day. We are the ones who, like chicks being selflessly and attentively fed by a parent, have only to approach him with gratitude. 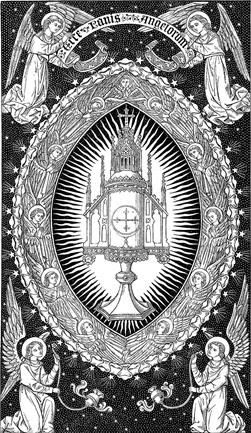 So, today we pull out all the stops to worship our Lord and God present in the most precious Sacrament of the Eucharist. 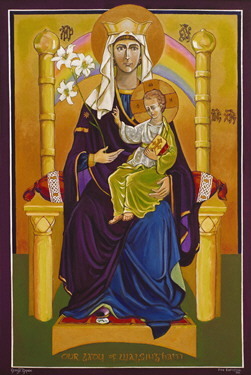 Today we make reparation for all the times we have been ungrateful for this life-giving gift. And today we do our best to express our gratitude to the Lord Jesus for giving to us his own very self as the only food worth eating. May we never cease to worship, adore, and give thanks to the Lord Jesus for this gift.